We will be at the Atlanta Log & Timber Home Show - Appalachian Log & Timber Homes - Rustic Design for Contemporary Living. Dreaming of a log or timber home? The Log Home & Timber Home Show is the premier marketplace for those seeking log or timber home packages, finishing materials, furniture, lighting, financing and more! 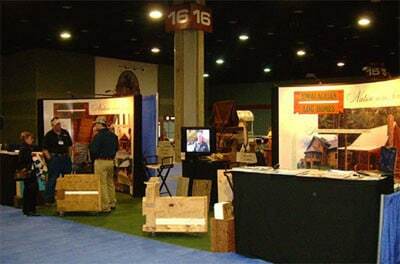 The Appalachian Log Home gang will be in full force at the show. Bring your floorplans, your notebook of ideas, or just bring yourself and get ready to be inspired at the show. We will be giving away 20 tickets ($15.00 value a ticket) so give us a call @ 1-800-726-0708 to reserve yours.